30th Annual Spring Update in Cardiology Symposium is organized by Oklahoma Heart Research & Education Foundation and will be held on May 03, 2019 at Hyatt Regency Tulsa, Tulsa, Oklahoma, United States of America. Additional details will be posted as soon as they are available. 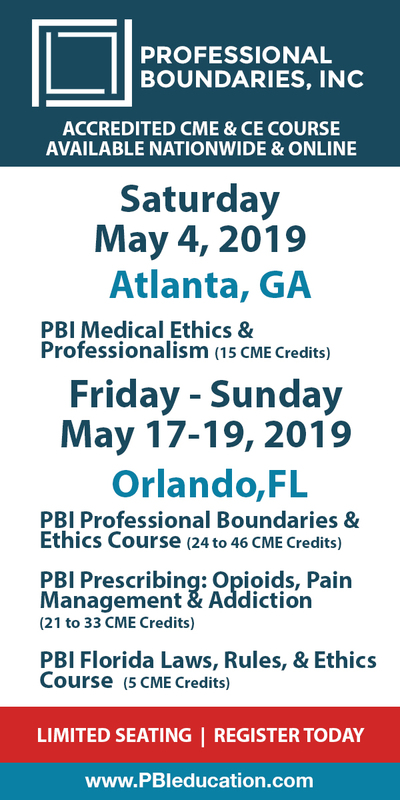 Borderline, Narcissistic, Antisocial and Histrionic Personality Disorders: Effective Treatments for Challenging Clients is organized by PESI HealthCare and will be held on May 14, 2019 at Crowne Plaza Tulsa - Southern Hills, Tulsa, Oklahoma, United States of America. Target Audience • Counselors • Social Workers • Psychologists • Psychotherapists • Therapists • Addiction Counselors • Marriage and Family Therapists • Case Managers • Nurses • Other Mental Health Professionals Course Description: Join Dr. Gregory Lester as he delivers an intensive workshop and seminar designed to provide you with the knowledge, skills, and abilities to identify and treat your most difficult personality disordered clients. Better understand your clients with Antisocial, Narcissist, Histrionic and Borderline Personality Disorder and make a breakthrough in clinical treatment. • Manage the manipulative and possibly violent Antisocial Personality Disorder in-session. • Overcome the Narcissistic Personality Disorder trait of perfectionism and combat their need to overpower you as the therapist. • Better understand your clients diagnosed with Histrionic Personality Disorder whose intense emotions and need for attention will test your patience and compassion. • Help the Borderline Personality Disorder client deal with their explosive emotions, self-harm tendencies and cravings for chaos. Case studies and video examples will be used to illustrate client symptom presentation, treatment, and management of each Cluster B client type. You will explore various modalities that are effective with antisocial, narcissistic, histrionic, and borderline personality disorders, such as Motivational Interviewing, Cognitive-Behavioral, Interpersonal, and Dialectical therapies. Each of these theories will be explored to provide you with solid and useable skills to include in your daily practice. Objectives: • Determine how the changes with the DSM-5® impacts diagnosis and treatment of the Cluster B Personality Disorders. • Identify and diagnose clients with antisocial, narcissistic, histrionic and borderline Personality Disorders to effectively inform your choice of treatment interventions. • Utilize case studies to differentiate symptom overlap, effective treatment and emotional management of each Cluster B Personality Disorders client type. • Manage the manipulative and potentially violent behaviors with your clients diagnosed with Antisocial Personality Disorder in session to make therapeutic progress. • Implement CBT techniques to clarify behaviors, values and goals with clients diagnosed with Narcissistic Personality Disorder. • Incorporate techniques to decrease explosive emotions, self-harm tendencies and cravings for chaos for clients diagnosed with Borderline Personality Disorder. • Utilize MI and DBT techniques with clients diagnosed with Histrionic Personality Disorder to help manage cognition and improve emotional regulation. Additional details will be posted as soon as they are available. American Holistic Nurses Association (AHNA) 39 th Annual Conference is organized by American Holistic Nurses Association (AHNA) and will be held from Jun 01 - 07, 2019 at Tulsa, Oklahoma, United States of America. Additional details will be posted as soon as they are available. 22nd Annual Emergency Medicine Review is organized by Oklahoma State University Center for Health Sciences (OSU-CHS) and will be held from Jun 07 - 09, 2019 at Renaissance Tulsa Hotel & Convention Center, Tulsa, Oklahoma, United States of America. This CME Conference has been approved for a maximum of 20 AOA Category 1-A CME Credits and 20 AAFP Prescribed credits were anticipated. Additional details will be posted as soon as they are available. 2019 American Association of Clinical Anatomists (AACA) Annual Meeting is organized by American Association of Clinical Anatomists (AACA) and will be held during Jun 11 - 15, 2019 at Hyatt Regency Tulsa, Tulsa, Oklahoma, United States Of America. Additional details will be posted as soon as they are available. Practical Excellence in Restorative Dentistry: Integrating Modern Technology with Proven Results is organized by Ultradent Products, Inc. and will be held on Oct 11, 2019 at Tulsa, Oklahoma, United States of America. The target audience for this medical event is Dentist and Team Members. This CE Conference has been approved for a maximum of 6 CE Credits. Overview: In today’s ever-changing economic environment, the dentist must continue to provide quality service to the patient, yet remain profitable. Consistent, predictable, clinical techniques that create quality esthetic and functional dental restorations in a time-efficient manner are of paramount importance for a healthy practice. Effective use of emerging technologies in dentistry will help to differentiate your practice in the marketplace. 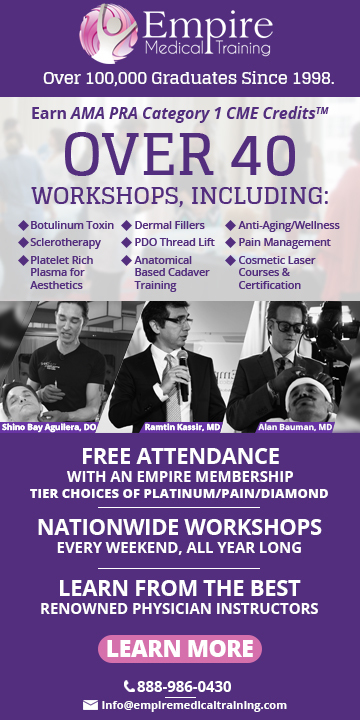 In this technique-filled seminar, Dr. Lowe will teach you the skills you need to refine your restorations to a level that will help you create consistent quality. New technologies and techniques will be discussed along with how implementation of these technologies can help the bottom line of your practice. A discussion regarding the latest dental materials and delivery modalities will help treatment planning in even the most difficult functional and esthetically challenging cases. Objectives: • How some of the latest composite and bioactive restorative materials save time and create excellent clinical results • How to refine techniques to create perfect master impressions and successfully cement all types of esthetic restorations • Unique options for ceramic to indirect esthetic restorations in the anterior region • How to correct tooth misalignment when patients decide conventional orthodontics is not for them • Efficient composite layering for life-like anterior esthetics • How to simplify posterior composite placement • Creative matrix options for direct composite dentistry Additional details will be posted as soon as they are available. Smarter Mammography Practices Course is organized by Advanced Health Education Center (AHEC) and will be held on Oct 12, 2019 at Tulsa, Oklahoma, United States of America. Credit: 8 Hours Category A Direct Description: This new eight hour mammography course is presented by an expert mammographer trainer, Pamela Fulmer. You will enjoy learning from Pam's experience helping facilities improve their positioning skills for accreditation. Through case studies, you'll learn what to do and not to do. Pam will then discuss breast density, implants and imaging the transgender patient. You'll benefit from her extensive knowledge of pathology reports. She will close the day with an enlightening review of her mammography training in Saudia Arabia. Course Topics: • Accreditation, Images and Corrections - Fix it Positioning • Breast Density - What Is It All About? • All About Implants • Mammography in the Transgender World • Pathology Report - What Does it Mean? • Mammography In Saudi Arabia Additional details will be posted as soon as they are available.